-Suitable Place: personal house, small,medium and large farm, etc. 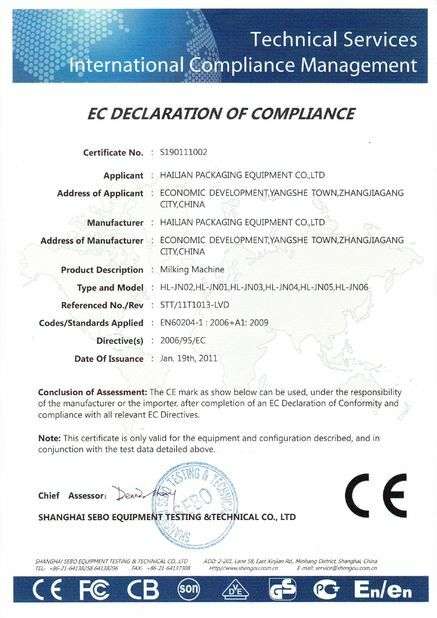 -CE certificate approved, could meet europe standard. 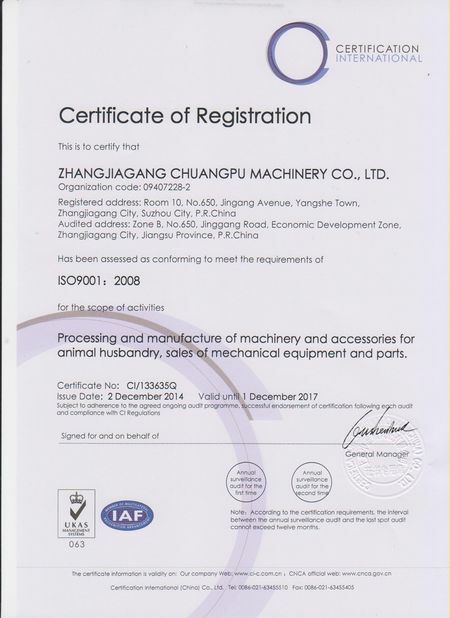 Portable milking machine / portable milking equipments and some other related dairy products are becoming more and more important for people's daily life. This kind of milking machine is the most widely used type: vacuum pump type. 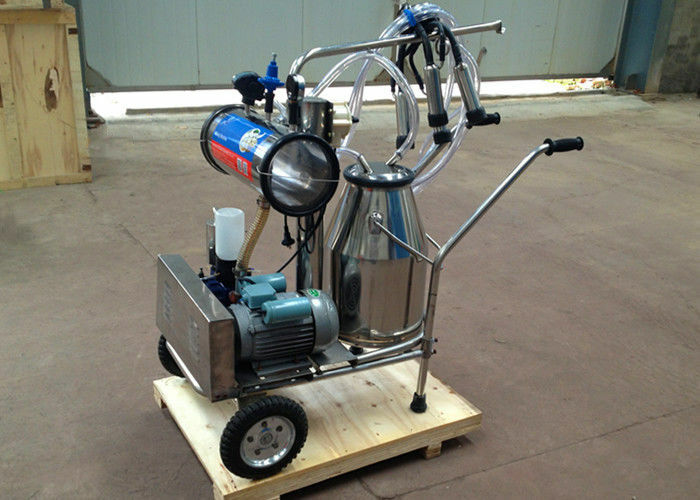 It mainly contains one 250L vacuum pump, one electric motor, one L80 milk pulsator, one 240cc milk claw, some tubes and one 25L milk bucket. Note: different electirc motor could be customized according to different customers' request. 1. With mobile wheel, flexible and convenient to move to milk. 2. Both operation and maintenance are simple. 3. Different voltage and motor to meet different countries to use. 4. Low noise and high milk production. 5. Saving labor and improving economic.